"The results are silly and elaborate rationalizations." You do realize that some people might say that this post is a rationalization for atheism? (I assume you are an atheist.) You, holding the opinion that religion is unjustified, had motivated reasoning to rationalize this belief. Because of this, you set out to write this post (and others like it). I don't disagree really with anything you say here, but think that motivated reasoning applies equally to atheism as it does to theism. Notice that there is no argument for atheism here. I'm wondering if you have investigated those people who have changed religion, and what kind of reasoning were they applying. It's a bit strange that every single scientific study you cite shows motivated reasoning in a non-religious context, so we have a lot of evidence of motivated reasoning for non-religious beliefs. What seems to be missing is any sort of argument establishing the thesis that religious beliefs are more likely than atheism to be influenced by motivated reasoning. Without that, it seems we can only conclude that all human beliefs should be highly suspicious. JSA, you are correct: all human beliefs should be highly suspicious. That is why the scientific method was designed: to overcome natural human biases of observation, perception and reasoning. That is, scientific studies are the antithesis of "motivated reasoning" because they aim to disprove, not prove, a contention. OTOH, religious reasoning has a clear agenda towards bias. It aims NOT to search for, acknowledge, present or present material that challenges its preconceptions. It's important to note again that humans are clearly highly prone to be religious, not areligious. That strikes me as so obvious, it hardly deserves explanation. Of the 7 billion people on the planet, the vast majority of them are religious. And I"ve given an argument for there being a high error rate for those beliefs. Couple the tendency with the urge towards motivated reasoning, and you've got a very strong prima facie case against any religious claim. Areligious, or atheistic claims, however, may be mistaken or poorly justified, but it will take a different argument than this one to demonstrate that. @Rosemary - If you read carefully, you'll notice that I didn't say that atheism is more influenced or less influenced by motivated reasoning than religion is. I simply pointed out that the scientific evidence presented is mute on the issue, and Matt hasn't attempted to make the case either way. And, obviously, atheism can be influenced by motivated reasoning. I've heard many atheists say things like, "I stopped believing in God when I started dating an atheist, because I couldn't stand the idea of him burning in hell", or "I lost faith in God when he let my mother die of cancer", and so on. Even John Loftus credits motivated reasoning for his deconversion -- he was a preacher, and the elders at his church betrayed him, motivating him to start questioning his faith. Again, I have no idea how common motivated reasoning is in atheism versus religion. And since nobody has presented good evidence or argument either way, it's irresponsible to assume. I am fascinated by the literature on the unreliability of intropsection, and I was wondering how you think skepticism can be avoided if as you say: "Since Descartes, the view that I am a reliable source of information about what I believe and why I believe it has persisted, as have the views that I am know when I change my mind, I know why I changed it, and I am aware of those causal factors in my environment that influenced those changes. This optimism about introspectionism has been thoroughly undermined by recent psychological studies." How can we claim to know that God does not exist if introspection is this unreliable? The basis of the claim, "God does not exist" does not rely on introspection, so the unreliability of introspection is not relevant. It is based on reason which is, at least fundamentally, build upon the law of non-contradiction. 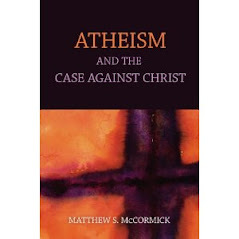 Professor M has many posts concerning both deductive and inductive proofs for non-existence of god. Furthermore, you have the issue of ontology. If god's existence is claimed, and also claimed to have no interaction with the physical world, you're left with a base-less metaphysical claim similar to the brain in a vat, or matrix arguments. Given that they have no bearing on how we interact with the world, nor any evidence to support their purported existence, we can simply reject the claim outright as being completely baseless. If some sort of interaction with the physical world is claimed, we can simply look for those interactions. Upon inspection, there is no evidence that any event in the physical world is caused by anything other that prior physical events. Most often, I find in reading that skepticism about existence is more accurately described as a language problem, or word game, than any real sort of philosophical dilemma. When you tease out meanings of words like "exist" or "corporeal" many of these skeptical arguments simply fall apart. As an atheist, the world is s it is. The only motivation comes from our fellow humans who see the world differently, believe in it differently, experience it differently. People presume atheism to be a "form" of belief, but it is not. Atheism isnt a religion, or a group of people, or an organiszation. Atheists are simply people who do not believe in *. Atheism does not need to be rationalized, it is rational. Theists need to be rationalized, becasue they are not. An atheist argument is not rationalized, it is rational.